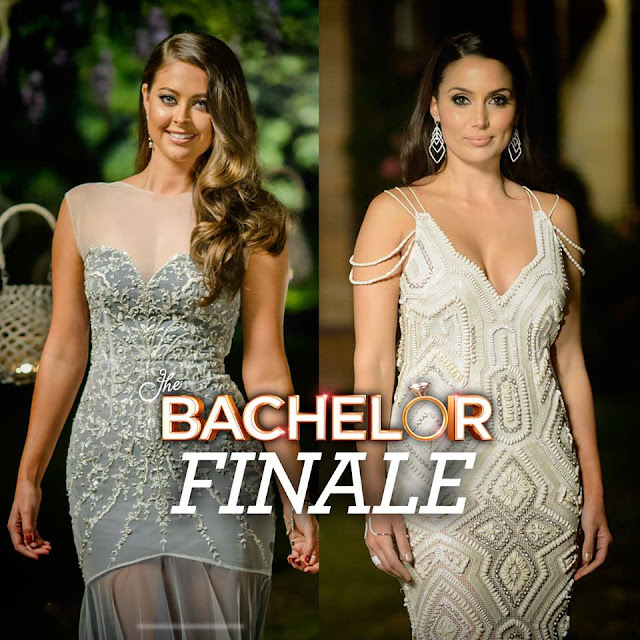 'The Bachelor' - the final two women. Who will it be? Lana (left)? Or Snezana (right)? SEE THE EXTENDED PREVIEW CLIP HERE. Here is what my daughter, Estella (age 7) thinks: "I think Lana will win, because she likes him a lot. Oh wait, I think Snezana will win, because she has smooched him a LOT. Yes, it will be her. Oh no, wait... I think it will be Lana. Hey mummy, what if BOTH of them won? If he he had two wives?"